Book one of our unique venues. Welcome to our world – The place where a little imagination and a whole lot of fun come to play. 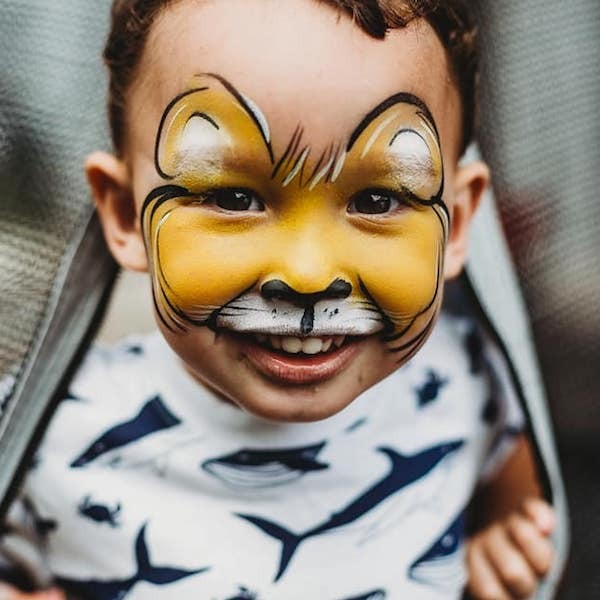 Bazinga Parties was founded with a spirit of fun and a lofty objective; to provide the most wonderful and unforgettable experience for the most important and memorable days of a child’s life. At Bazinga Parties we are all about the fun; our entertainers will bring excitement, creativity, and enthusiasm along with our specialised party entertainment. We love what we do and it shows so whether you are throwing a lavish birthday bash for 300 guests or a small backyard party for 4, we have the ideas energy and know how to make every birthday, party or event an extraordinary memory. 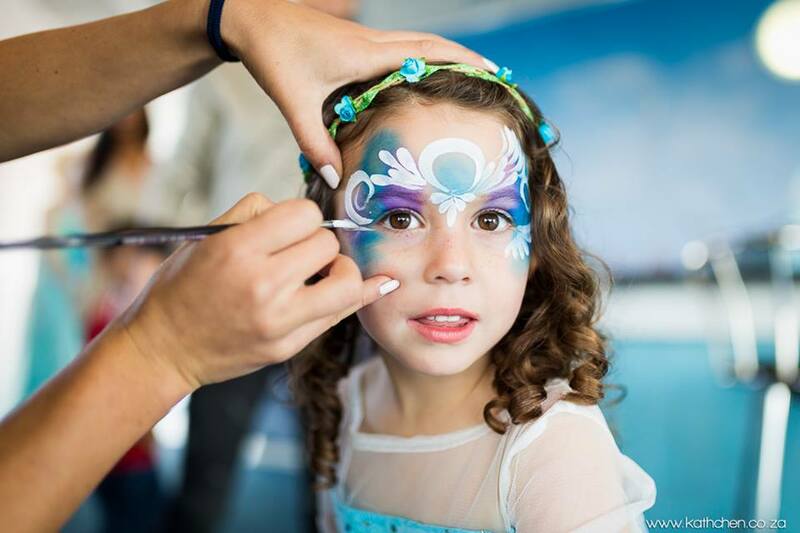 With our dedicated support team of professional party planners we will take control of your event, implement your ideas and give you the time to fully enjoy your child’s special day stress free. Its just that easy so… Book Us Now! – Bring the fun to your party or event. 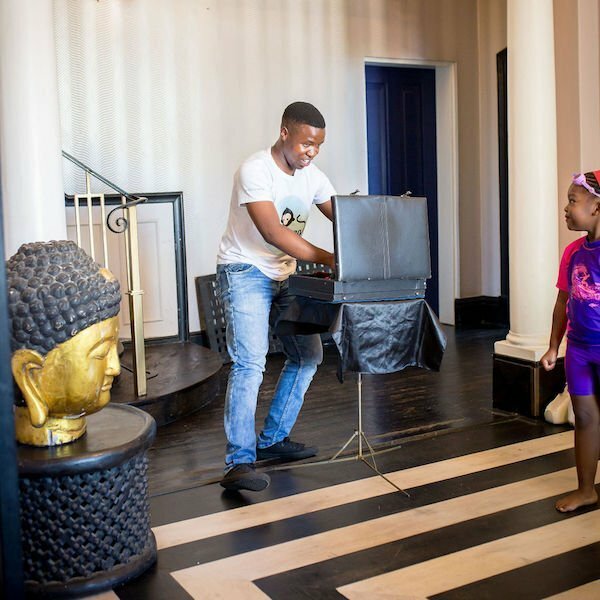 – Leave your guests in awe of our entertainment skills. – Take the pressure of you by keeping the kids entertained. 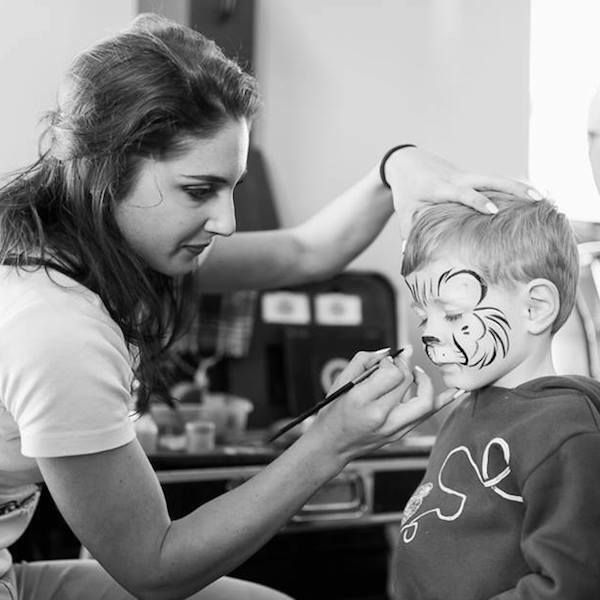 Some of the party entertainment services Bazinga offers are: Balloon sculpting, face-painting, magic shows, sand-art and active party games. – Wide variety of designs. – Fun filled 30 minute active show. – Best balloon artists in South Africa. – Sand art stations for the crafty kids. – An assortment of races and musical party games. Our team of party people. Our 6 special offer party packages below were put together to make it easy for you to book the classic party necessities in a simple bundled party package. “I’m speechless! You guys outdid yourselves. The face painting was the best I have EVER seen, the balloon art was the best I have EVER seen, Cinderella was amazing and you were just phenomenal! My heart is bursting with happiness! Every kid deserves to have you at their party!!! Well done and really, thank you so much- you made my little girls day. “Thank you so much for such a wonderful party!! Everything was absolutely perfect! Your staff were amazing and really kept the kids entertained and the party table looked great, the construction theme was brilliantly executed. “I want to thank Rose for the most outstanding and professional service she offered at my daughters party on Sunday. The balloon creations she churned out by the dozen were quite incredible and her face painting was really professional. She did not stop for one second! “Your team is AMAZING!!!! Seriously, I can’t remember when last I was so impressed, your service included! “Just wanted to thank and commend you on the high level of professionalism that you guys have shown over this event. We realise the operations and logistics of this have not been easy but you have made it work every time that something has needed to be changed without any effort. “I have to say a big thank you to you for making the party so special, and also for accommodating me at the last minute. Your services were amazing and very professional and I would highly recommend your services for birthday entertainment. 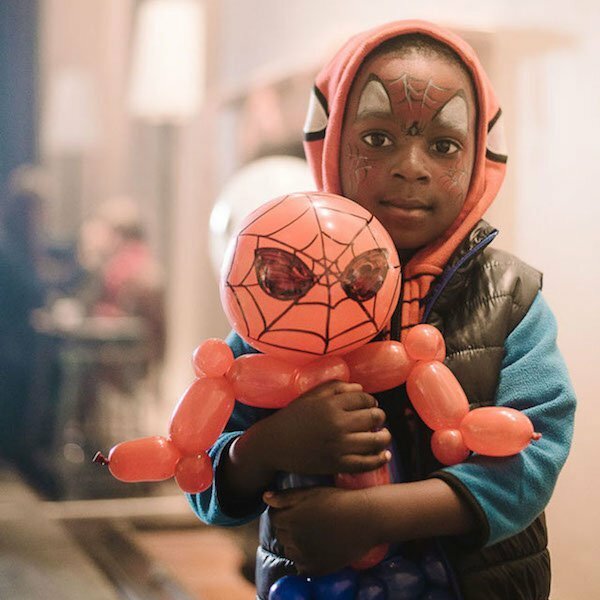 “Hugest thank you to you and your team… We were really blown away by your level of service and everyone was raving about your face painting and balloons. I also love the show you bought in i.e. the magician and puppet show, they were very interactive and brilliant. Well done!! Want to speak to one of our party planning wizards? Need help with party venues, ideas or just like the sound of our voices, you can contact us by any of the below methods.